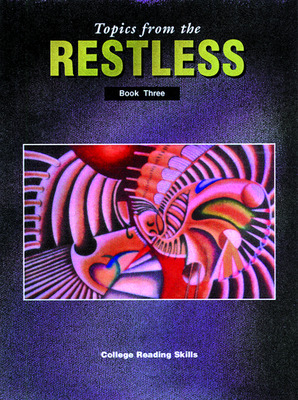 Topics from the Restless provide secondary and post-secondary students with meaningful reading and study skills development while building real-world writing experience. Engaging nonfiction and fiction writing on current topics. Older students are exposed to relevant, quality literature often found in newspapers and magazines. Pre-reading and post-reading activities. Provides students with extensive practice in reading comprehension, vocabulary, reading rate, study skills, and writing. Gradated reading levels. Students with a variety of reading levels can work in the same series, even the same book, and progressively grow in reading skill ability. Diagnostic Chart and Progress Graph in each book. Allows teacher and student to determine which skills are challenging and set a path to correct them. TOPIC 1: "THE TRUTH IS OUT THERE"